Recorded Live at Le Zenith, Nancy, France - April 27, 1998. Files: 23.:: Size: 827,82 MB (flac). 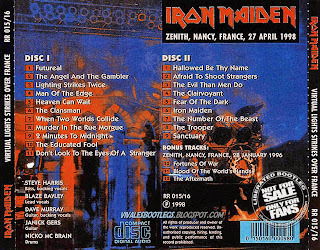 Personnel: Steve Harris – bass guitar - Blaze Bayley – lead vocals - Dave Murray – guitars - Janick Gers – guitars - Nicko McBrain – drums . This is one of the rare gigs where 'Murders In The Rue Morgue' (where Blazes botches the lyrics) and 'Don't Look To The Eyes Of A Stranger' were played. The bonus tracks can also be found on the Nancy 1996 bootleg. 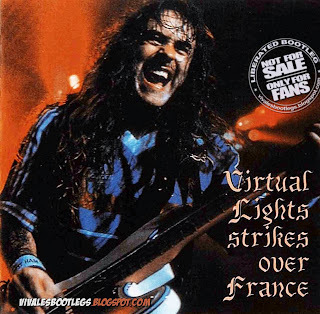 This is a great recording of a full Virtual XI concert. 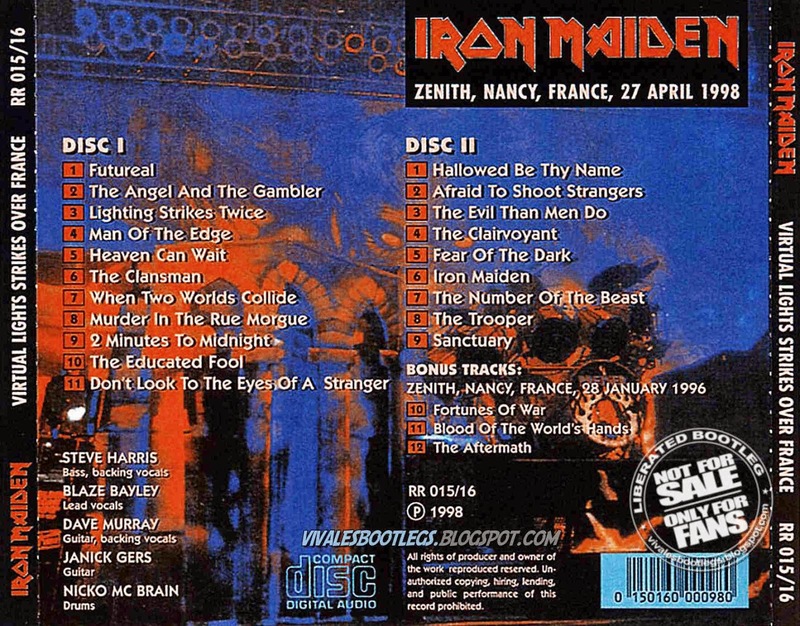 The only little defect is that, on some songs, Dave Murray's guitar is a bit too "soft", but otherwise this is an excellent bootleg (.from ironmaiden commentary.com). Line age: Silver disc - Wave - TLH - Flac level 8..